Larsen Marabe and Jessie Joe Parker will play for the UK second division side Featherstone Rovers and they will leave this week. 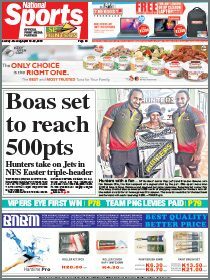 British High Commissioner to PNG, David Dunn, praised the duo for securing contracts with the Rovers and alerted them to this season’s success of fellow Kumuls Menzie Yere, Charlie Wabo, Nico Slain and Michael Mark. “Menzie Yere, Charlie Wabo, Nico Slain and Michael Mark have stamped their mark in the UK with Menzie and Michael winning awards from their respective clubs. This shows the potential of PNG rugby league players when exposed at the international level. Their experience shows that there are no international barriers when it comes to playing rugby league and I wish them well,” Dunn said. UK-based PNG league veteran Stanley Gene, who was instrumental in marketing Marabe and Parker to the Featherstone Rovers, thanked the British High Commission for issuing visas to the pair and said it was their chance to experience life as professionals in the UK. “It’s an opportunity for these players to see the other side of the world, experience different cultures and I encourage the boys to take this opportunity, enjoy their time in the UK and always remember that they are representing PNG both on and off the field,” he said. Earlier in the year Parker was unable to take up a contract with a St George Illawara feeder club in Queensland due to Australia’s stringent visa requirements. He was forced to forego the opportunity to play in neighbouring Australia but now gets his chance in Britain. 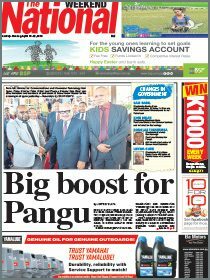 The departure of Marabe and Parker now brings the number of PNG Kumul players in the UK to ten. The others include Gene, Makali Aizue (both with Halifax), John Wilshere (Salford Reds) and Jason Chan (Celtic Crusaders).